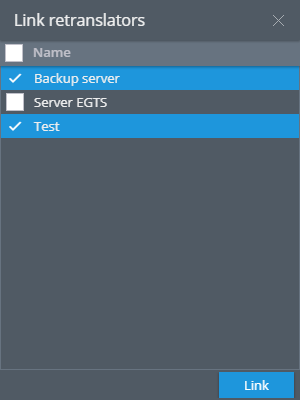 Data forwarding – forwarding of data that comes from trackers from the server to the third-party servers specified by the user. For example, it can be logistic IT systems. Such transfer is carried out on-line, i.e. without any delay, directly at the moment of data receiving. Data are forwarded under a certain protocol (format) of data transmission to an address and a port specified by a user, with use of authorization or without it. 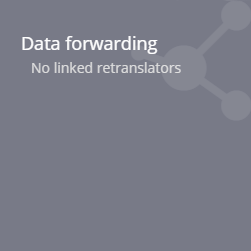 Forwarding setting is carried out from the “Devices” application in the “Data forwarding” widget. The retranslator can be presented as the machine which sends data from the specified devices (in other words, “attached” to it) to some specific server. One receiving server – one retranslator. You can create as many retranslators as you wish, if that’s not limited by your tariff plan. You can edit, delete or stop their work. 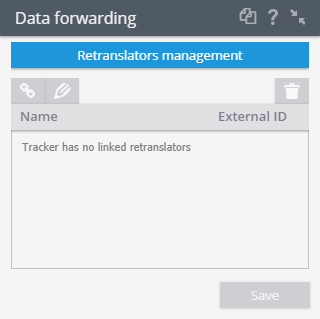 Once you have created one or more retranslators, you can bind your tracking objects to them. Each tracking object can be bound to one or more retranslators. Data from this object will be transmitted by the corresponding retranslators (if they are activated). Note: during removal of a retranslator, connections of objects with this retranslator are removed.